Part of the Turcot reconstruction project. Many elevated highways are being torn down this year (not just for this project) and I thought I should monitor most of it but then realized most people don't care about any of this so why bother. 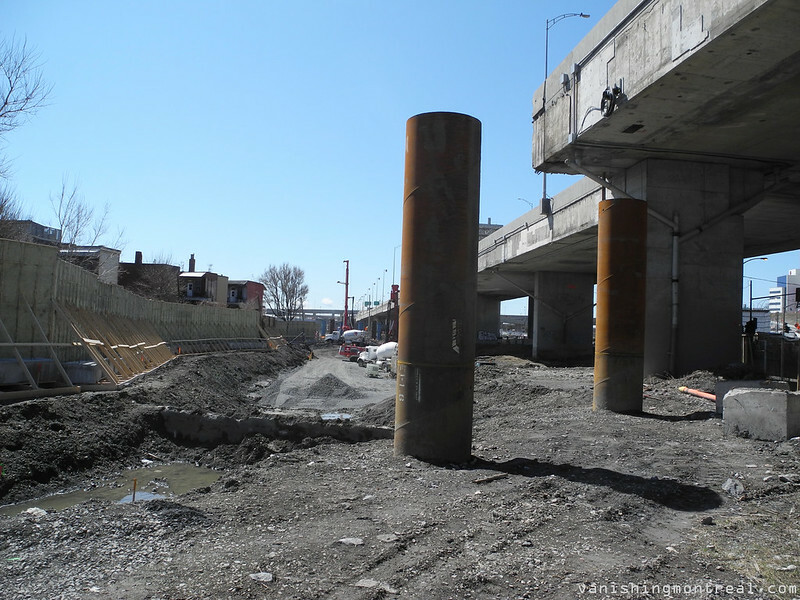 Une partie du projet de reconstruction Turcot. Beaucoup d'autoroutes élevées seront démolies cette année (et pas seulement pour ce projet) et je pensais que je devrais prendre note de tout cela, mais j'ai réalisé que la plupart des gens se soucient aucunemt de cela alors pourquoi se donner le trouble. I follow your posts everyday through my RSS feed, but do not comment much. Love seeing how Montreal is changing each year, even though I no longer live there. Hope you keep up the great photos!